The stainless steel grill pan has twelve indentations in the ideal shape to hold your oysters in their half-shell. 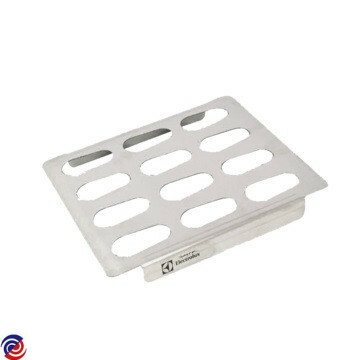 Use for serving or grilling, measures 300x275x25mm to safely hold and stabilise 12 oysters. Grilled oysters have a fantastic smoky flavour, which one will to become a favourite. Choose from oyster recipes such as Kimchi Butter, Fleur de Lolly, Chili Butter, or a favourite like Oysters Kilpatrick.